The Tundra Lodge is located 1 mile from Lambeau Field. 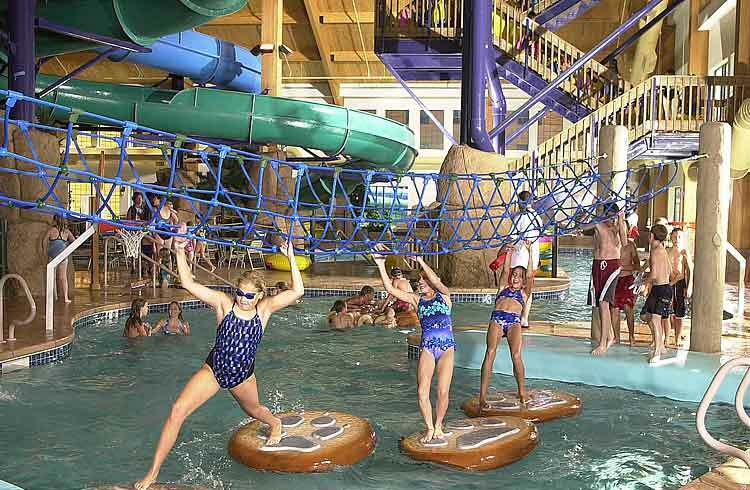 This all-suite hotel is the home of the largest waterpark in Green Bay. 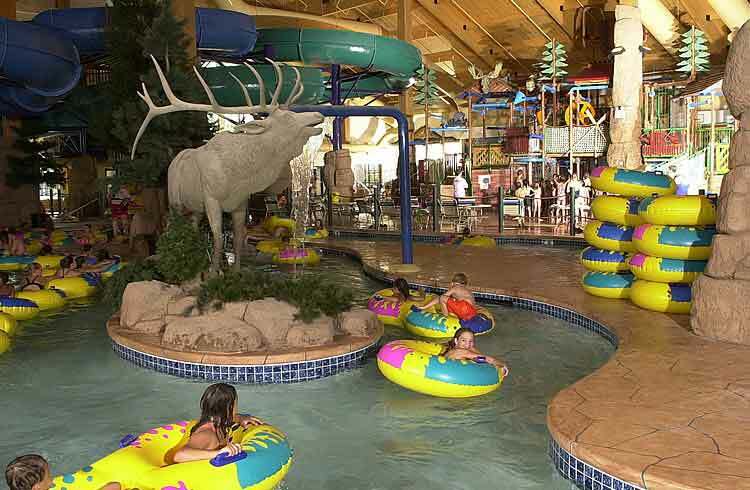 Take a wild ride down the gigantic tub slide, glide down the lazy river, or enjoy a dip in a hot tub. Every Northwoods-themed Suite is non-smoking. Enjoy the Caribou Restaurant, relax at the Yukon Jax Bar & Grille, shop in the Tundra Trading Post or test your skills in the Gold Rush Arcade. This hotel is exclusive to our Gold Package. Two Queen Beds with Sleeper Sofa Two Queen Beds with Sleeper Sofa and half wall separation (most rooms have this but there are some without the half wall separation. 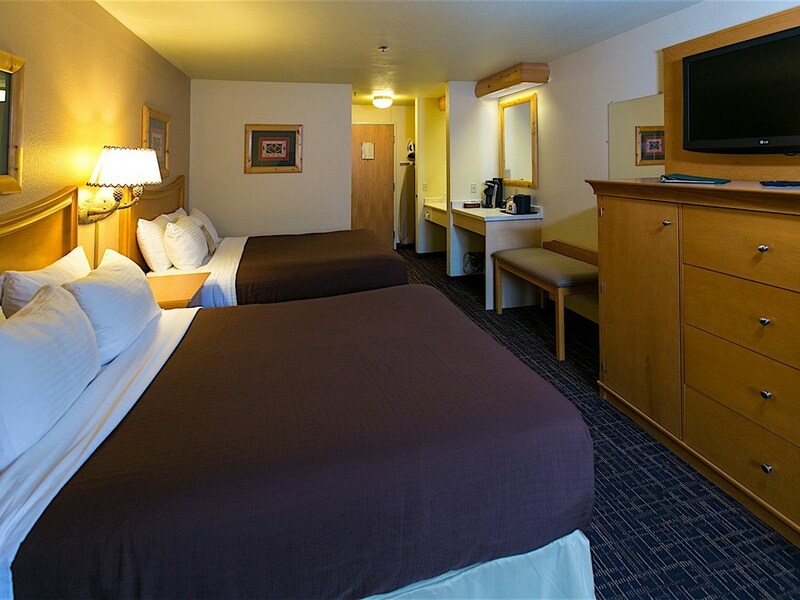 We can not guarantee your room will have this but can add a special request to your order if you let us know at the time of booking) Cabin Suite with one Queen Bed, Sleeper Sofa and separate children’s room with Bunk Beds. This is the only room available with one bed in the room.